Mindfulness is the answer to everything from anxiety to well-being, but also may have some negative effects on the mind. In a new study out of Georgetown University, and presented at Neuroscience 2013, the annual meeting of the Society for Neuroscience, suggests that along with all of its highly touted benefits, mindfulness seems to inhibit implicit learning (learning that occurs without awareness). Implicit learning is the source of bad habits. The casual reader may read that and think, So what's wrong with that? The answer is that implicit learning is the source of ALL habits, good and bad. Mindfulness by its very nature keeps us more aware and self-directed, and this presence can "undercut the automatic learning processes — the kind that lead to development of good and bad habits, says the study's lead author, Chelsea Stillman, a psychology PhD student." On the other hand, if you are mindfulness enough to derail the automatic learning process, you are probably mindful enough to develop habits with intention and awareness (in one study, mindfulness training improved both GRE reading-comprehension scores and working memory capacity in a group of college students). I'm sure Sam Harris would refute the findings here in some way, but this is another nail in the coffin of his "free will is an illusion" nonsense. SAN DIEGO — Being mindful appears to help prevent the formation of bad habits, but perhaps good ones too. 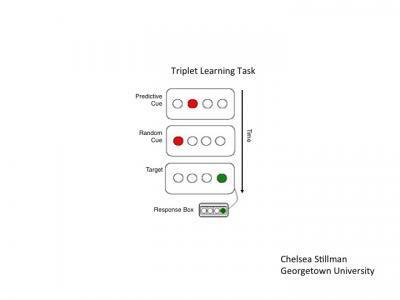 Georgetown University researchers are trying to unravel the impact of implicit learning, and their findings might appear counterintuitive — at first. Consider this: when testing who would do best on a task to find patterns among a bunch of dots many might think mindful people would score higher than those who are distracted, but researchers found the opposite — participants low on the mindfulness scale did much better on this test of implicit learning, the kind of learning that occurs without awareness. This outcome might be surprising until one considers that behavioral and neuroimaging studies suggest that mindfulness can undercut the automatic learning processes — the kind that lead to development of good and bad habits, says the study's lead author, Chelsea Stillman, a psychology PhD student. Stillman works in the Cognitive Aging Laboratory, led by the study's senior investigator, Darlene Howard, PhD, Davis Family Distinguished Professor in the department of psychology and member of the Georgetown Center for Brain Plasticity and Recovery. This study was aimed at examining how individual differences in mindfulness are related to implicit learning. "Our theory is that one learns habits — good or bad — implicitly, without thinking about them," Stillman says. "We wanted to see if mindfulness impeded implicit learning." The researchers found that people reporting low on the mindfulness scale tended to learn more — their reaction times were quicker in targeting events that occurred more often within a context of preceding events than those that occurred less often. "The very fact of paying too much attention or being too aware of stimuli coming up in these tests might actually inhibit implicit learning," Stillman says. "That suggests that mindfulness may help prevent formation of automatic habits — which is done through implicit learning — because a mindful person is aware of what they are doing."